Nemanja Matic says the players must take responsibility for Jose Mourinho being sacked as Manchester United manager. Mourinho lost his job in the wake of United's 3-1 defeat at rivals Liverpool on December 16, with Ole Gunnar Solskjaer taking over as caretaker boss until the end of the season. The Norwegian's time in charge began in impressive fashion as he guided them to a 5-1 win at Cardiff on Saturday night. 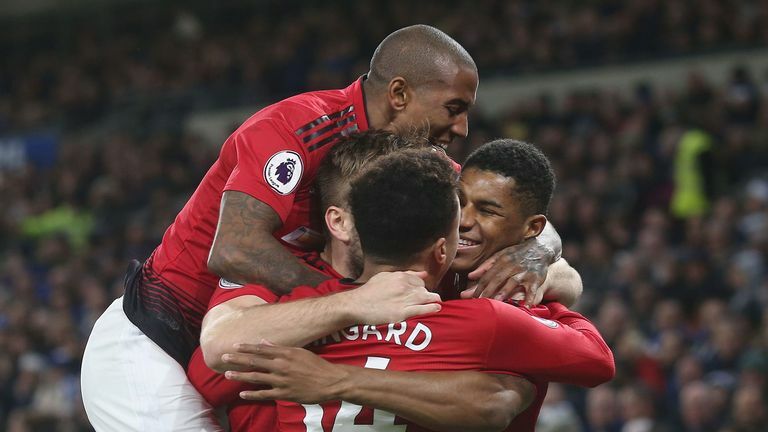 Highlights from Manchester United's 5-1 win over Cardiff in the Premier League. But a disappointing campaign prior to that has left the club sixth in the Premier League going into the Boxing Day fixtures - 19 points behind leaders Liverpool - and Matic insists Mourinho alone cannot be blamed for their poor performances. When asked if the players must take responsibility, Matic said: "Of course. I said this also after the Liverpool game, that we have to take responsibility and do our best to play better and to win games. "I don't know [what changed at Cardiff]. This is the question no one has an answer to but we are sure this is the way to continue, to fight and we will try to do it. Were United right to sack Mourinho? "This is football. In football this happens. We know also it's not only the manager's fault when the results are not good. "But this is football and we have to carry on, to fight for the club."